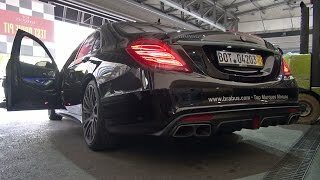 The already powerful and luxurious E63 AMG from Mercedes gets the attention of Brabus and thus evolves a super-powerful and luxurious invention, the Brabus 850 6.0 Biturbo 2014. With its power much more in comparison to Audi and BMW, the model crosses all benchmarks and brings figures that are hard to find in a mid-size sedan. 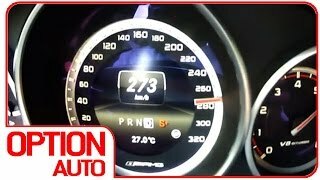 Let us have a look at the review of Brabus 850 6.0 Biturbo 2014 and have a closer sneak to all upgrades and iterations. 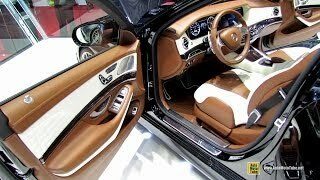 The interior of Brabus 850 6.0 Biturbo 2014 is very limited from the house of tuner. Model gets specially handcrafted leather to upholster providing you wide range of options, when it is about choosing your favorite color. Through this company gives you the freedom to make your exclusive Brabus 850 6.0 Biturbo 2014 interior more personalized. Right in front of the driver seat and over the elegant and clean dashboard you’ll find steering wheel which looks extremely gorgeous with aluminum shift paddles mounted behind it and accompanied by a set Brabus Race Pedals. Apart from these rest all remains same to its sibling and being loyal with the review it never required much iterations as it already sits high over the throne over luxury and comfort. Just like its interior, the exterior of Brabus 850 6.0 Biturbo 2014 is also very limited with the Brabus things. Starting with the front fascia you have a spoiler lip beneath the bumper that not just adds to the looks but also makes impeccable contribution to its aerodynamic abilities. The front grille gets a ‘B’ emblem to narrate the saga of exclusivity while the air-intakes gets a bit more of black in them to splatter the aggression it carries beneath its hood. Moving towards the rear fascia of Brabus 850 6.0 Biturbo 2014 you can find the exhaust pipe in a new shape. The new look isn’t just gorgeous with its black trim but also adds to the performance of model. Talking about more rolling over those new wheels with updated brake rotors and calipers you have the smart trunk lid carrying the Brabus badging. 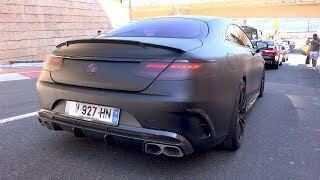 The Brabus 850 6.0 Biturbo 2014 over its new set of wheels carries a 6.0 Liter V8 engine that upthroats total output of 850 hp and peak torque of 1450 nm mated to seven-speed transmission. 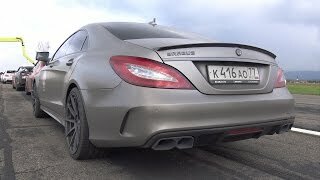 With these power figures, top speed of Brabus 850 6.0 Biturbo 2014 reaches the benchmark figure of 217 mph and can sprint from 0-62 mph in just 3.7 seconds.